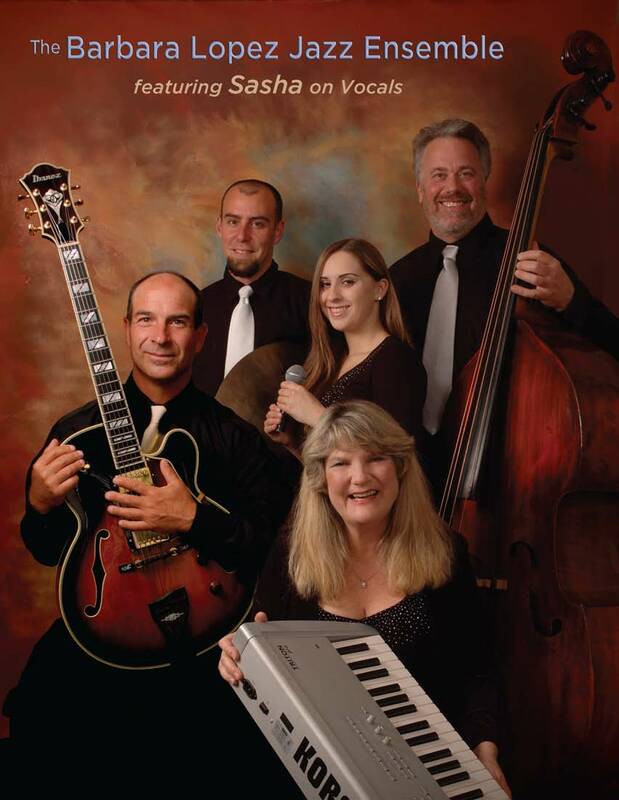 Barb's band plays her original jazz compositions and innovative arrangements of originals. They have repeatedly played to sell-out crowds and received great appreciation for their work. This unique group of musicians spans five generations. Their collective talent and ingenuity is indeed something to hear! For more information call Barb at (831) 479-8900. ©2012 Barbara Lopez - All rights reserved.